The property. It has been recently renovated. It is located in Mt Helen and is surrounded by trees. The house has been insulated. There is heating in each of the rooms. The house is fully furnished, with modern appliances and furniture. It has a Scandinavian design feel; it is modern, spacious and practical. 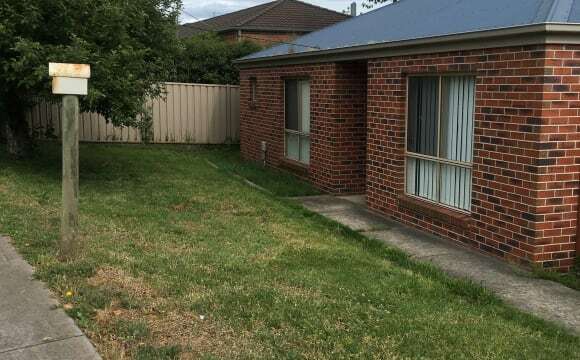 The house has a main bathroom, a separate toilet and has a main bedroom with an ensuite. 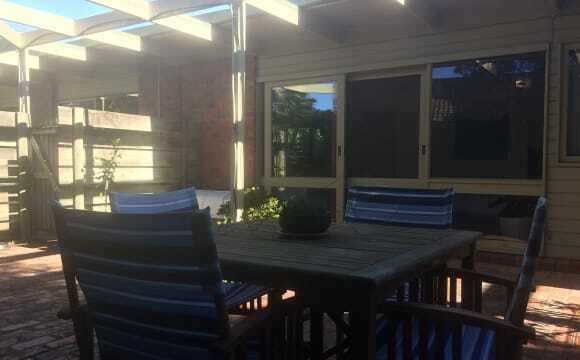 There is a backyard with a Weber BBQ, beautiful gumtrees, deciduous Manchurian pear trees, a vegie patch and a lawn. Room 2 for rent. It is the second bedroom. It has a double bed, a desk, a chair, a mirror above the desk, and a built-in wardrobe. 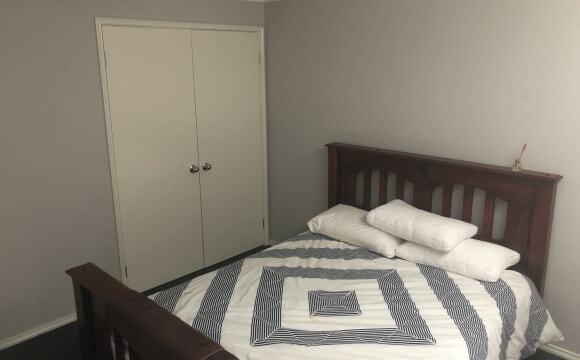 The person renting this room will use the main bathroom and the separate toilet. Most of the time he/she will be the only person using them, as I will be very often away. The property. It has been recently renovated. It is located in Mt Helen and is surrounded by trees. The house has been insulated. There is heating in each of the rooms. The house is fully furnished, with modern appliances and furniture. It has a Scandinavian design feel; it is modern, spacious and practical. 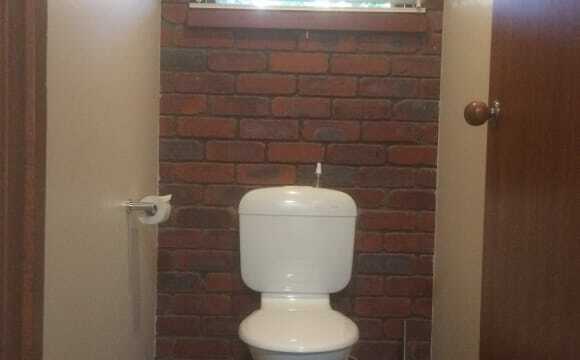 The house has a main bathroom and a separate toilet. These will be used by other flatmate and myself. 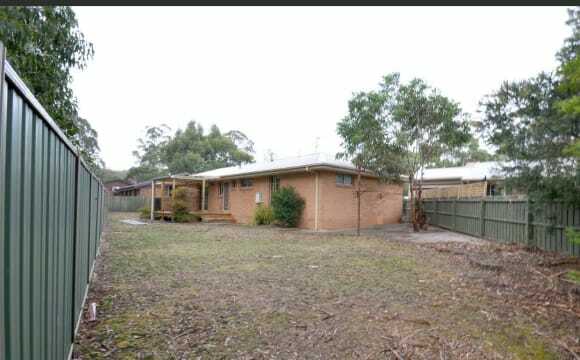 There is a backyard with a Weber BBQ, beautiful gumtrees, deciduous Manchurian pear trees, a vegie patch and a lawn. Room 1 for rent. It is the main bedroom. It has a queen bed, two bedside tables, an ensuite, a chest of drawers, and a walk-in wardrobe. This beautiful home has been recently renovated throughout and is seriously spacious, modern and fresh. 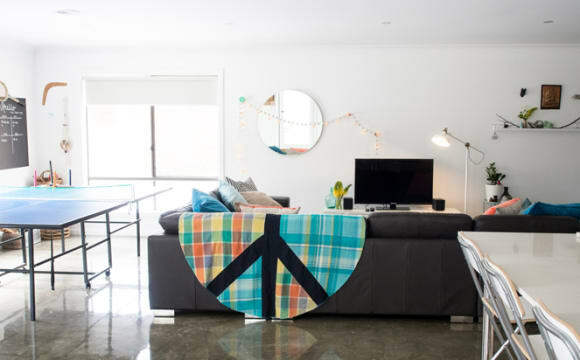 Ducted aircon and gas heating keep the place comfortable year-round. With brand new furniture either just delivered or on it's way soon, an open-plan kitchen-meals-living area, and two big paved outdoor entertaining areas provide plenty of space and style to enjoy time spent at home. 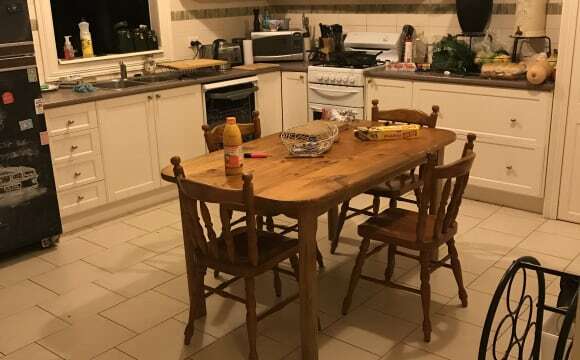 Brand new kitchen and central bathroom look fantastic and are functional, and kept at their best by a professional cleaner who comes every second week for a general clean and tidy-up. The garden at the back is sunny and north-facing and is a lovely quiet spot to relax. The home is soon to be protected by a security system, and the bedrooms will be lockable for added privacy and security. 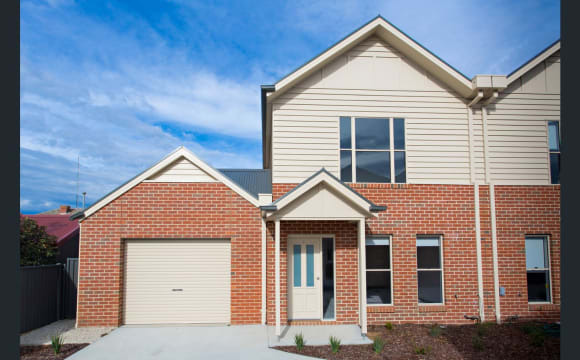 There is parking off-street for two or three cars, and the street itself is quiet and well positioned to be in Ballarat Central, the Base Hospital, Federation Uni campuses, Ballarat Station, supermarkets, fast-food, whatever you need, in just a short drive. Up for lease is a single partly furnished bedroom in a 2 bedroom townhouse located in an off the street quiet unit complex, Included in the room is a new queen size bed and single desk. Ideal for a student or person studying. The house is equipped with Foxtel IQ3 and fast internet with hundreds of DVD's and movies on the in-house media server. *photo of room to come when current roommate moves out. 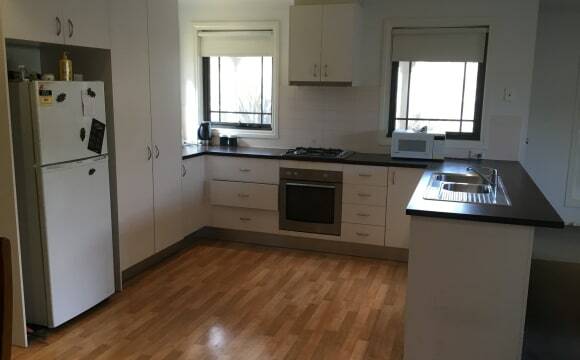 Welcome to come and inspect beforehand The property is big and spacious, we have a 2 car garage and I ride a bike so we can comfortably fit 2 cars and my bike in there, the backyard is big, and has a garden shed, we have central heating as well as air cons and fans. We’re easing going people to live with and are open to pets as long as they will not harm the rabbit. 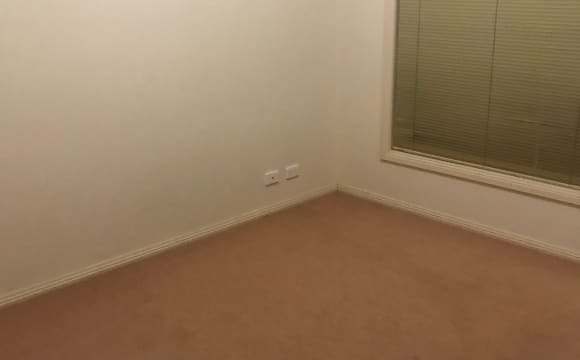 We have a lounge room with tv and accessories, a music room, and then the 3 bedrooms. A kitchen/dining area, a laundry, 1 bathroom and a sunroom. Your bedroom will have built in wardrobes, and a window seat/storage. 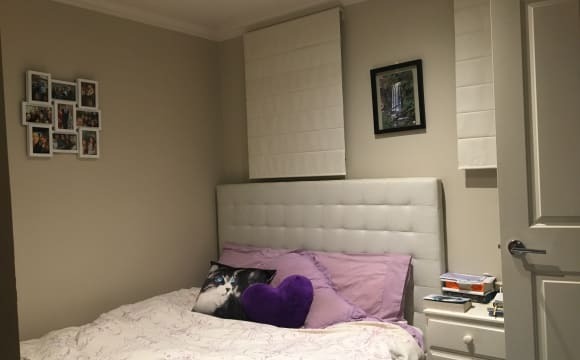 Optional for furnished (bed, chest of drawers) Location is close to town, close walking distance from 4 take away food places and a service station, and a 15 minute walk into town. Quiet street. Bills are split evenly upon receiving them.